Aleph Bet Preschool seeks to create a stimulating and enriching educational environment for each and every child in a small family-like atmosphere. The school is devoted to helping children learn socialization skills, building their self-confidence and teaching them the preliminary skills to explore and experience the world independently from their parents. In addition, we seek to ignite a spark in each child to lay claim to his Jewish heritage and commit him or her to a lifetime passion for learning. Our students are well-prepared for kindergarten and indeed the rest of their lives. They possess a strong grasp of basic cognitive, social, and fine and gross motor skills. Most importantly, they form their identities with a strong spiritual and moral base. Call our office at 805-275-4083 for more information. 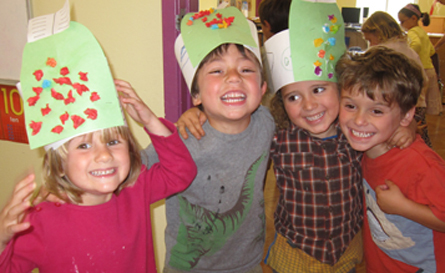 Aleph Bet Preschool serves Jewish children ages 2-5 from all religious backgrounds and affiliations.